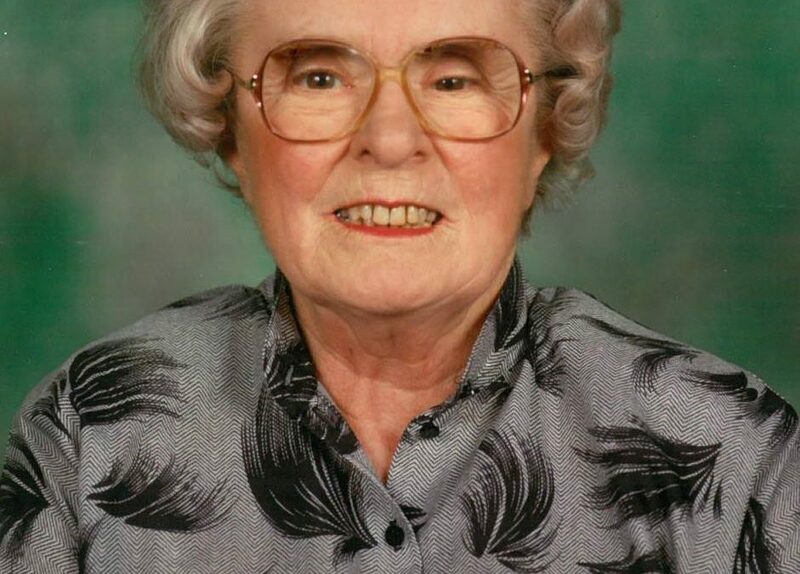 Former Leader of Nottingham City Council Betty Higgins has died aged 92. 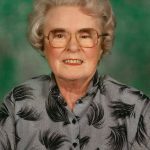 Elected as a Labour councillor to what was then the Manvers Ward of the City Council in 1971, Mrs Higgins was Leader of the City Council from 1983-87 and again from 1991-93, and stood down as a councillor in 2003. As the first female leader of the council, she was also recognised as one of the top 100 Women of Substance in Nottingham, for her continuous campaign for women’s voices to be heard and to make sure that women were represented in public, civic and community life. She was a great advocate of public service and of the public sector, believing in providing good services to local people and ensuring that services were available when they were needed. She was a councillor over a long period during which the city was transformed. Many neighbourhoods were remodelled and significant regeneration investment was attracted to the city at a time when traditional industries were being lost. Betty will be greatly missed by those who worked with her and knew her. She was an exceptional council leader at a difficult political time when control of the council was in the balance. She led the authority in a very pragmatic and constructive way and was always motivated by the people and communities she served. She made sure their voices were heard and was a role model and an inspiration for many Nottingham people. 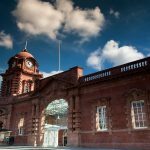 She had the foresight to keep Nottingham City Transport in public ownership – one of only a handful in the country which are managing to avoid the problems privatisation brought to other areas. It’s one of Betty’s lasting legacies that NCT is a national award-winning bus company that’s a key part of our excellent public transport system. Increasingly we see Conservative controlled authorities in crisis with their finances despite less cuts and preferential treatment when it comes to the Government’s funding formula. 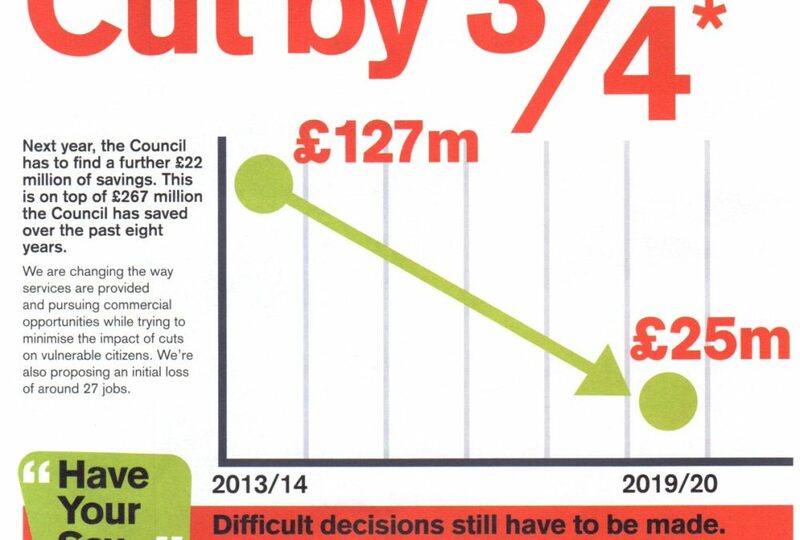 Last year the ‘negative RSG’ funding by the Conservative Government saw Surrey County Council as one of the biggest winners receiving £17.3m from the new scheme after previously pocketing £24.1m of transition grant in 2016. It’s outrageous that the Government chooses to bail out councils in better-off areas of the south when poorer councils in the North and Midlands in areas with higher need are losing out. East Sussex County Council is cutting its services back to the“legal minimum” as a result of financial pressure. The Conservative Party is showing themselves both unfair and incompetent when it comes to managing money. Nottingham people and others across the North and Midlands are losing out on millions of pounds of extra funding which would help support the vital council services they rely on. 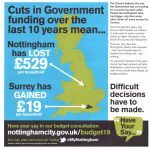 Since 2013 the Conservative Government has cut its main source of funding to Nottingham from £127 million to just £25 million. At the same time the cost of care for the elderly and vulnerable young people is rising, meaning the Conservative Government is making Nottingham people pay more for less. 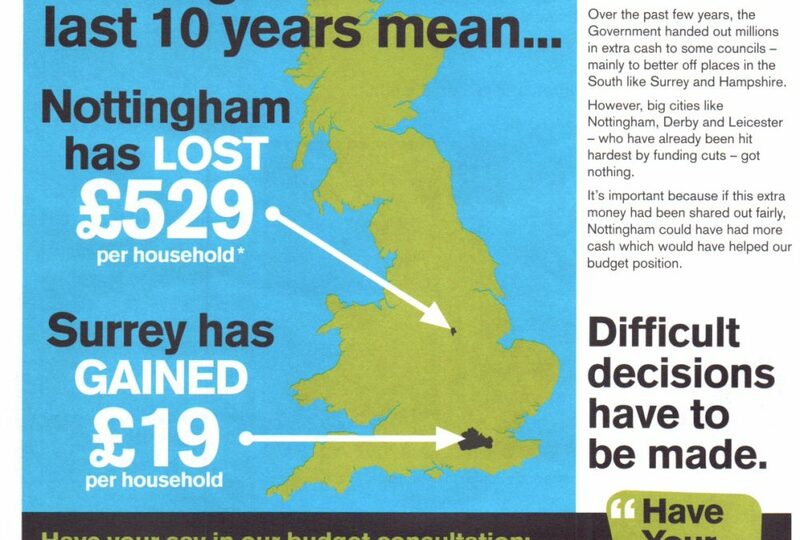 What makes this worse and totally unfair is the blatant favouring by Government of affluent southern areas which have received much more in grants despite areas like Nottingham needing it more. They have also received special grants to soften the blow of cuts which places like Nottingham need more but missed out on altogether. 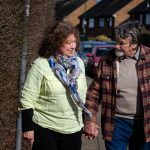 Following the Government’s £300 million of extra ‘transition funding’ announced in 2016, which overwhelmingly benefitted more affluent councils in the South, the Government last year proposed ‘negative RSG’ compensation worth £153 million with a rigged criteria which saw 85% of it going to Conservative controlled authorities predominantly in the South East and South West. 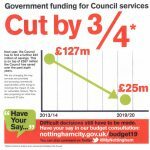 This year alone Nottingham is being forced by the Government to make £22m of savings over the next three years, which will have a series a significant impact on local services. Though we have continued to carry out a range of commercial activities which bring in over £20m a year to offset the cuts and key services that many councils are cutting are being protected as much as possible here in Nottingham, including children’s centres and libraries, tackling crime and anti-social behaviour, keeping the city clean, protecting children and supporting vulnerable elderly people, every year it is becoming harder. Nottingham Labour want to make sure that local people can access the best possible services from Nottingham City Council and from their councillors. Nottingham Labour councillors are the only local representatives with a track record of being on the side of local people and standing up to protect services and spending for Nottingham. Created 3 new joint services centres in Dales, Hyson Green and Strelley, bringing library, Police, NHS and welfare advice under one roof for local people. 70p of every pound spent by the City Council is spent with Nottingham businesses. Raised more than £20 million in income from commercial activities to reinvest into public services. Provided almost 250 young people with apprenticeships at the City Council and supported 2/3 of them into permanent jobs. 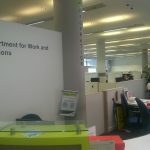 Supported Nottingham Credit Union to provide ethical and sustainable finance and borrowing to more Nottingham people. 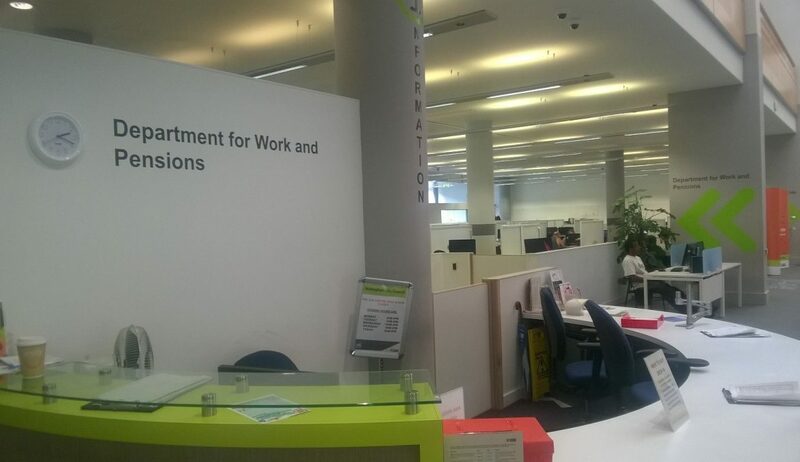 Deliver an integrated benefit, housing aid, Futures and DWP service under one roof at Nottingham City Council’s head office. Become the country’s most commercial council, bringing in at least £4 million more from commercial activiities to support services local people rely on. Allow neighbourhoods to invest and run their own local community hubs and assets through Community Asset Trusts. Ensure Nottingham City Council jobs pay at least the living wage and wherever possible, commission services from organisation that do the same. Work with local businesses to create a £2.5 million fund which provides 500 new apprentices for people from diverse backgrounds. Download the full Nottingham Labour 2019 manifesto. There are many things about Nottingham that make it a great place to live, work, learn and have fun. 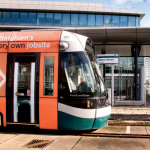 We have the best public transport in the UK outside of London, many affordable and good quality homes and a wealth of green and beautiful parks and open spaces enjoyed by thousands of Nottingham residents. Introduced a selective licensing scheme, meaning that 97% of private rented homes in the city are now regulated and standards are on the up. 2500 homes that Nottingham people can afford to rent or buy built or in progress. Invested £1.2 million in 23 play areas across the city. Introduced energy efficiency measures to more council homes, including solar panels to a further 1366 homes and secured over £4.8 million to fund further improvements. Created an integrated oyster style transport tickets, the Robin Hood Card, which is now used by more than 50,000 people. 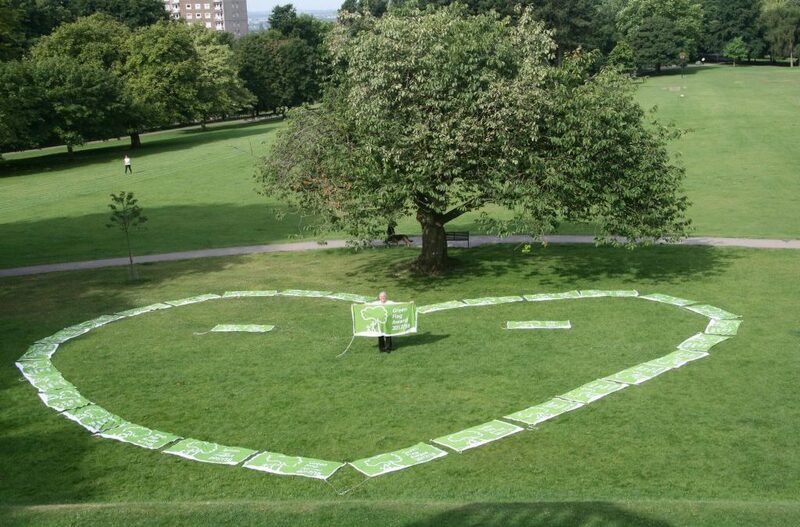 We’re proud of Nottingham and we want to keep making our city an even better, more exciting place to live. Over the next 4 years, Nottingham Labour wants to help make our city an ever better place to live. Provide settled homes as emergency accommodation for homeless people instead of bed and breakfasts and introduce a “no first night out” policy for rough sleepers to ensure no one need sleep rough in Nottingham. Fill 50,000 potholes, replace 250 pavements and resurface 100 roads. Complete the development of and reopen Nottingham Castle as major national heritage attraction. Deliver an annual kerbside collection of unwanted bulky waste items for every resident. Double the number of residents using Robin Hood Energy and continue to provide extra discounts for those who live in the city. Download a full copy of the Nottingham Labour 2019 manifesto. Supported 8000 people into work through the Nottingham Jobs Fund. Established Nottingham as one of the best UK cities for business start ups. Established a creative industries hub and a centre for excellence for environmental technology. Supported Nottingham College to secure £58million for a new City College Hub on Broadmarsh East site with construction underway. Revitalised Bulwell and Clifton town centre through transport investment and a targeted action plan. 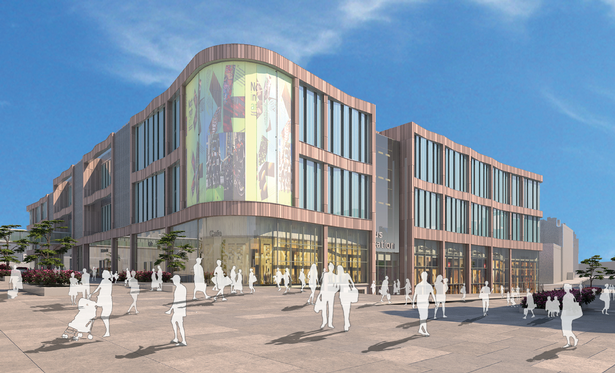 Redevelop the south side of the city centre, including completing the college, library and Broadmarsh carpark, bus station and shopping centre. Reduce the number of empty shops from 15% to below 10%% and return Nottingham to the top 6 retails rankings outside London. Bring 20 vacant sites back into use to provide employment opportunities for local people. Continue to guarantee a job, training or further education place for all 18-24 year olds. Ensure the development of at least 500,000 square feet of Grade A office space to encourage inward investment in the city. 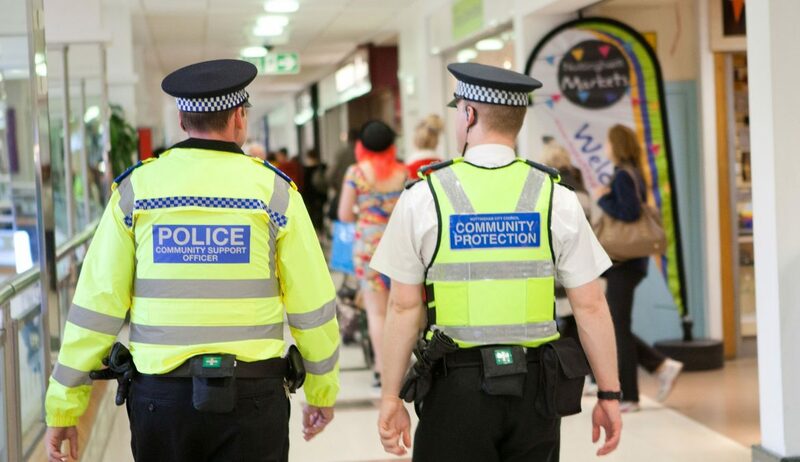 100 Community Protection Officers working across all wards of the city. Reduced the number of repeat victims of domestic violence down by more than a third. Increased the reporting of hate crime by 89%. Protected Environmental Health Officers from cuts, making sure Nottingham’s restaurants are properly regulated and inspected. Ensured Nottingham City Homes take a tough line on tenants involved in drug dealing, knife and gun crime. Create a dedicated noise nuisance hotline and respond to complaints of noisy neighbours in 48 hours. Work with at least 500 young people each year at risk of becoming involved in gangs and knife crime or at risk of exploitation. Campaign to increase the number of Police Officers and PCSOs on Nottingham’s streets. Host an extensive programmes of community events and activities to bring people together in every neighbourhood, reflecting and celebrating our diversity. Create a Violence Against Women and Girls Strategy,working with our partners including the Police, transport providers and venues to address the safety of women and girls in their homes and their communities. each other, especially in difficult times. Almost 90% of Nottingham children are attending schools judged good or outstanding by Ofsted, up from 69% in 2015. Increased the number of Nottingham foster carers by 30%. 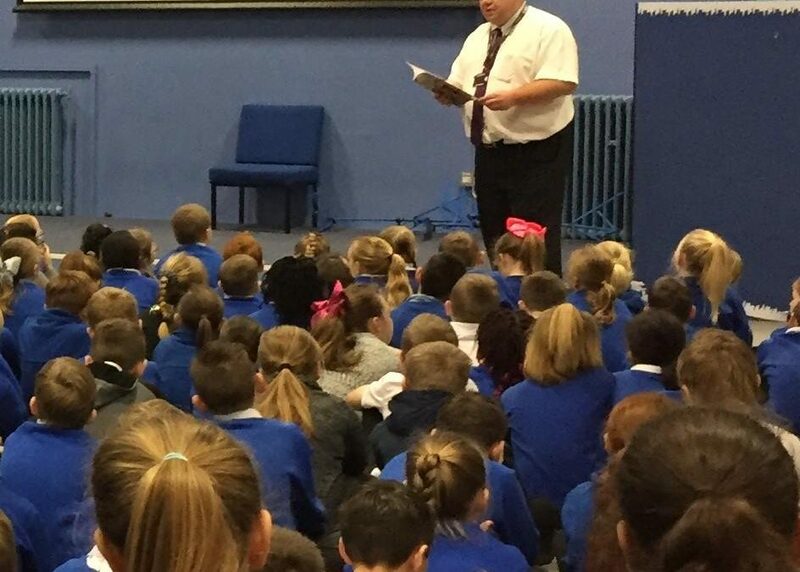 Delivered over 150,000 free books to more than 5000 children as part of the Dolly Parton Imagination Library. Worked in partnership to retain all 18 Children’s Centres across the city. Created 62 new special school places for children with additional needs and worked with mainstream schools to support hundreds of other children. Set up a council owned company to deliver care services in Nottingham, with a well trained and well paid workforce, to improve the quality of care. Reduce permanent exclusions by 50% and campaign against permanent exclusions and off-rolling to make sure every Nottingham child is in school. Ensure that all Nottingham children attend a school judged good or outstanding by Ofsted. Tackle holiday hunger by supporting school holiday lunch clubs in our most deprived neighbourhoods and campaign to extend free school meals to all primary school children by 2025. End period in Nottingham by ensuring free sanitary products are provided to young women who need them. ﻿Download the full Nottingham Labour 2019 manifesto here. It is integral to get our children reading from a young age. Not only are children receiving books from the Dolly’s Imagination Library initiative 28% more likely to start school ready to learn, but they are more likely to enjoy reading. The initiative seeks to close the attainment gap by intervening at an early stage. The Imagination Library is a brilliant scheme which delivers a free book to children aged 0 to 5 years on a monthly basis. The scheme has reached a milestone with 5,000 children receiving books and more than 150,000 books have been delivered. 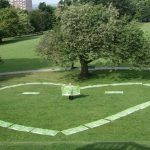 Nottingham Labour has been at the forefront of creating a more sustainable and greener city for the past two decades. However, the recent Intergovernmental Panel on Climate Change (IPCC) report “Global Warming of 1.5°C”, shows the urgency for more action in order to prevent irreversible climate change and protect Nottingham citizens from flooding, drought, heatwaves and other extreme weather events. That is why Nottingham Labour used January Full Council to commit to making Nottingham a carbon free city by 2028, two years ahead of the target of many other cities which have taken similar pledges. Installing solar panels on 4500 domestic properties across the city. Sustained action over the next decade is critical. The IPCC report urgently reminds us that we must go further and faster in our efforts to keep within the boundary of a global temperature rise of 1.5C, and the devastating impacts this would have around the world. This temperature rise doesn’t sound like a lot, but there is already evidence of what a changing climate can do to people’s lives. Our weather is becoming more extreme as climate warms, we are getting warmer, drier summers, with more extreme storms, and warmer, wetter winters. 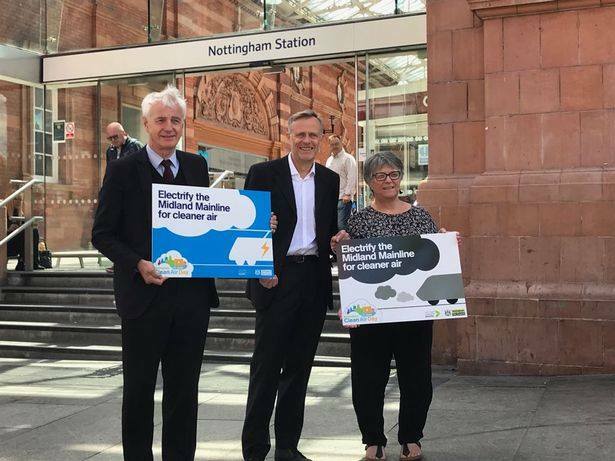 Nottingham has made a good start, already meeting our 2020 energy strategy emissions target early, reducing emissions by 39% for the city and 43% per person. The next aim is to lead the way nationally and play our part in the global effort against climate change by becoming a carbon neutral city by 2028. Work is already being done towards a long-term citywide sustainable development strategy which will set out a positive vision for a sustainable future for Nottingham. I look forward to us delivering on the important motion.